The average personal injury verdict in Florida is $1,819,751, according to Jury Verdict Research, a company that tracks jury verdicts. Personal injury plaintiff win at trial in Florida personal injury cases approximately 61 percent of cases that go to trial. 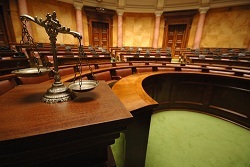 Florida’s threshold requiring a more serious injury in motor tort cases is one reason why the average jury verdict in Florida much higher than the national average. These Florida jury statistic verdicts also underscore that large case inflate average jury verdicts and settlements. The median – as opposed to the average – money damages in Florida personal injury trials in Florida is $122,674. If you have been injured in a serious car accident (our lawyers only handle serious claims), call us t 800-553-8082 or click here for free no obligation consultation.